Remember when you could trim trees without using a single drop of gasoline? 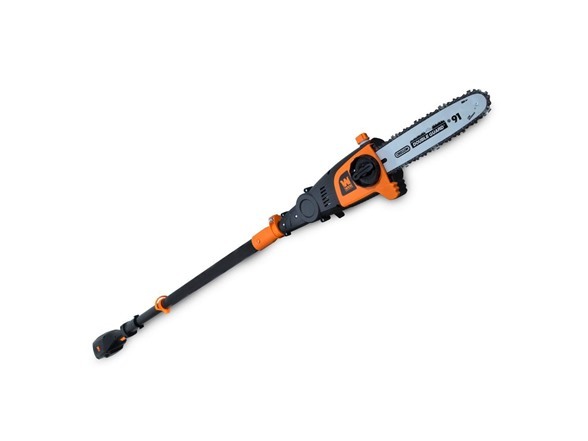 Free yourself of ecological guilt with the WEN 6-Amp 8-Inch Electric Pole Saw. Telescope the pole anywhere from 6.8 feet all the way up to 8.75 feet. 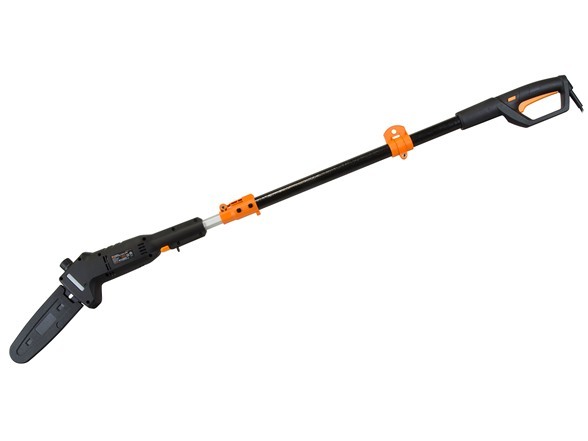 Our powerful 6-amp motor runs the blade at a whopping 36 feet per second. Automatic oiling system keeps your chain properly lubricated while the tool-free blade changes make for easy and quick tensioning between cuts. Lightweight 7.2-pound design combined with the included shoulder strap alleviate stress and limit fatigue during operation. 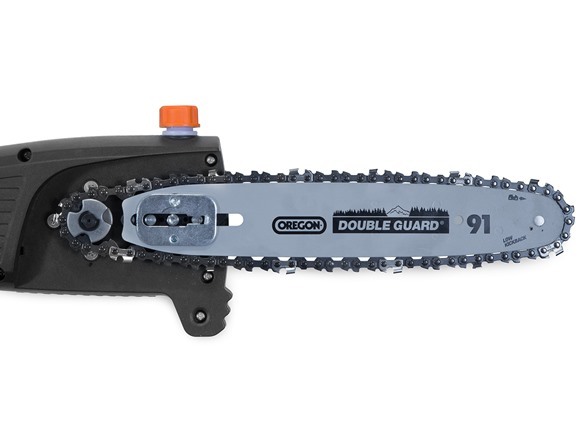 The saw also includes an ambidextrous built-in safety switch to minimize accidents and a scabbard to protect the chain and bar between jobs. And, because its a WEN product, your pole saw comes backed by a two-year warranty, a nationwide network of skilled service technicians, and a friendly customer help line all to make sure you remember WEN. Remember when you could reach the unreachable? 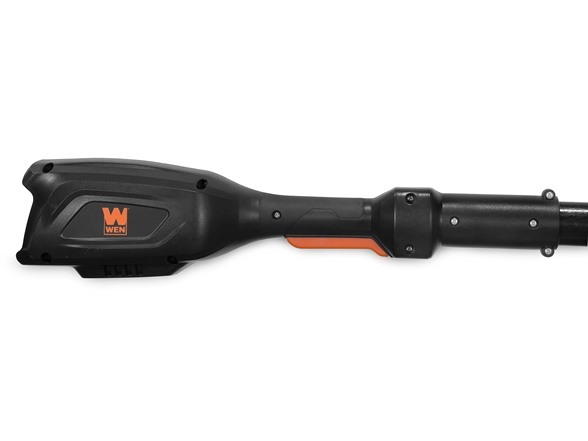 The WEN 40V Max Lithium Ion 10-Inch Cordless Pole Saw combines a high quality chainsaw with the most recent advances in pole technology. 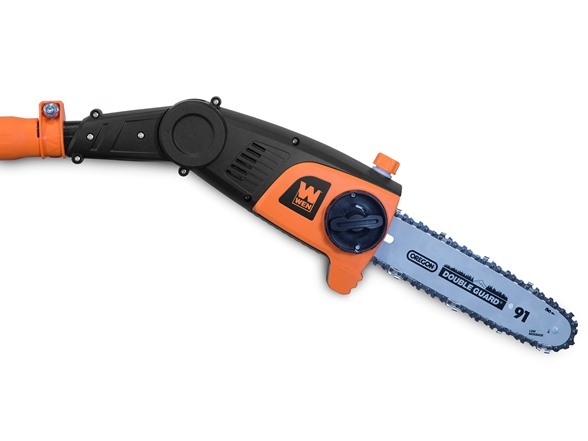 Extend the saw anywhere from 6-1/2 feet up to 9-1/4 feet in length, helping you to cut even the most difficult branches. Our lightweight brushless motor limits maintenance needs while elongating the lifespan of the unit. 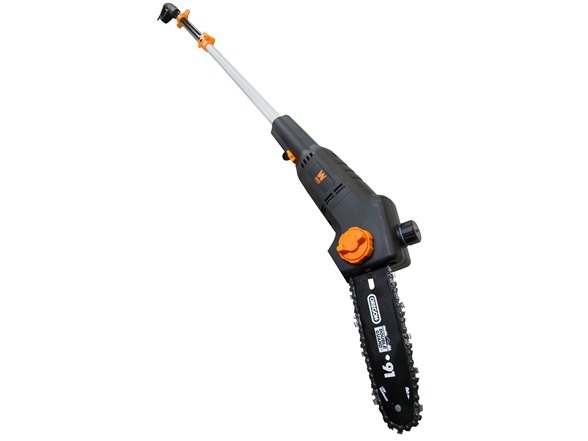 The adjustable head pivots up to 30° in either direction while the 40V lithium ion battery rotates the motor up to 4800 times per minute. Our design allows for tool-free blade changes and adjustments as well as emission-free operations. 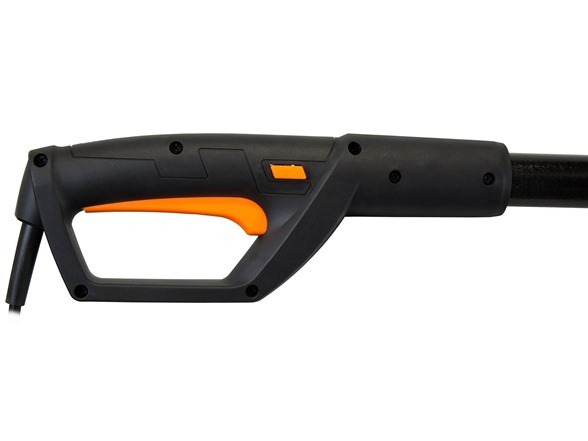 The included 40V 2Ah lithium ion battery and charger eliminate the hassles of most pole saws, meaning no more gasoline, no more extension cords, and minimal upkeep. 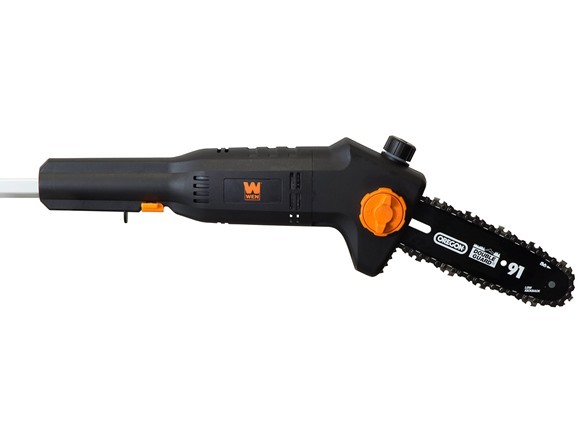 This battery is also compatible with the entire WEN 40V Max Lithium-Ion Series, including the WEN 40410 40V Leaf Blower, the WEN 40413 40V String Trimmer, the WEN 40415 40V Hedge Trimmer, the WEN 40417 40V Chainsaw and the WEN 40439 40V Lawn Mower. 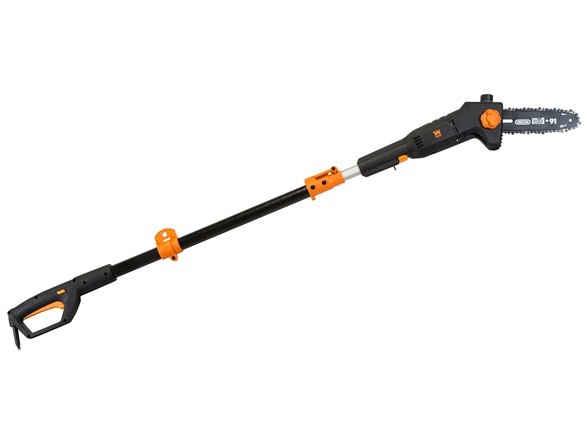 This package includes a 10-inch guide bar, a 10-inch chain (3/8 inch pitch, .05 inch gauge, 40 drive links), a shoulder strap, a scabbard, a 2Ah battery, and a charger. 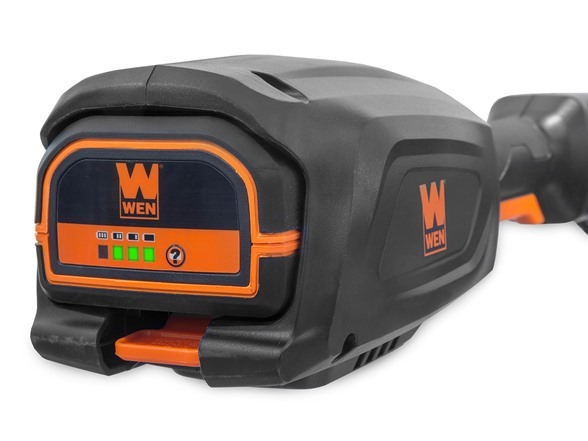 And because its a WEN product, your 40V pole saw comes backed by a two-year warranty, a nationwide network of skilled service technicians and a friendly customer help line all to make sure you remember WEN.